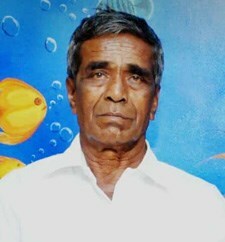 Thomas DSouza (71), husband of Mary DSouza of Angadibettu, Havanje, father of John/Juliana, Rockey/Rajeshwari, Juliana/Santosh, Miliyana/Gilbert, Pius, Baptist, Peter, Alwyn & Santosh, Grandfather of Josna, Reeta, Ashwin, Sonu, Vinisha, passed away on Tuesday, 04 December 2018. Funeral Cortege leaves residence on Friday, 07 December 2018 at 4.30 pm to Sacred Heart Church, Kolalgiri. Funeral mass at 5 pm followed by burial service.